Some of you have already met Sharon Byrne who has been working with us at St George’s since September 2017 in a role called a Pioneer Partner. I am delighted to be able to say that Sharon has “partnered” the work of the church so effectively, it was with great pleasure that we felt her role should develop into a new one with the title “Children’s & Families Missioner”. This is a three year post and Sharon will be working alongside myself and the Ministry Team at St George’s in a number of new initiatives in church and the community. The first is something called Circle of Security, partnering with primary schools and there will be more information to come about that in due course. We are also continuing to work with Littleport & East Cambs Academy with Pop UP Church. We aim to extend our work with something called “Thrive!” This is a mentoring project we can offer through school and training which will start soon. Finally, Sharon along with other people from St George’s, is part of a group exploring how all our various church activities can mutually inform and reinforce each other. This is exactly what happened when Jesus, all grown up, started his ministry around Galilee. First, he spoke to people, then he invited them along and then commissioned some to minister in his name. Others simply became followers of Jesus where they were. It isn’t a new idea in the history of the church; all denominations have a tradition of people being commissioned and sent out in Christ’s name. I was especially interested to read about newly appointed bishops in the 1860s who realised that as urban communities had expanded, it was no longer possible to simply be the Vicar of say, Manchester. So, they appointed lay people! Simples! Littleport continues to grow too, with the highest percentage of new housing in the region. It is with roles like Sharon’s that we and other members of Littleport Churches Together intend to reimagine what ministry might look like in the years ahead. It is always a good time, at the start of a new year, to think about this sort of thing. Those lay people have to come from somewhere so perhaps you’ve been harbouring a desire to work in some capacity in the church? If so, please let me or another member of the team know and we can start a conversation and an exploration. Or it could be that one of your New Year Resolutions is to explore what church is like? What better time to come along and find out? 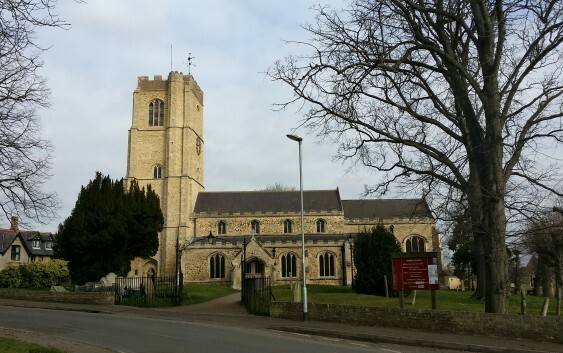 There will always be a warm welcome – please remember that there are a range of services and groups at St George’s and across Littleport Churches Together so there really is something for everyone.